Ride face first on the Manta! The monthly meeting of the Central Florida Vacation Rental Managers Association was held at Sea World to allow us to ride the new Manta coaster. We arrived at 8:00am, an hour before opening, so there were no lines. At 9am, as we went from Manta to our meeting, we fought our way through the throng of Sea World guests who arrived precisely at opening time and rushed to Manta. “Manta was all the thrill seeking adventure I could imagine bottled up into one ride. -Brad L.
After our Manta preview, we had a talk by Brian Morrow, the director of Design & Engineering for Sea World. He began by telling us that he was responsible for the design of everything at Sea World from “bathrooms to roller coasters.” I was not quite sure if it was a good idea for him to put both of them in the same sentence? How tall to ride Manta? 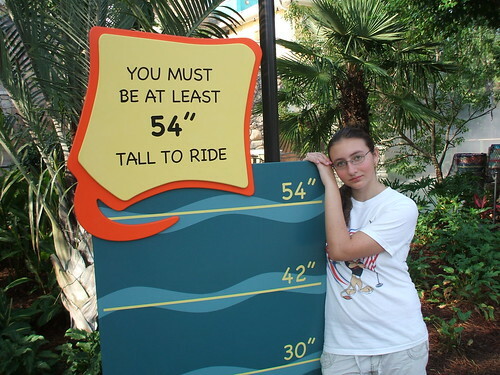 “How tall to ride Manta Coaster?” 54 inches. “How tall is the Manta Coaster?” 140 feet with the longest drop being 113 feet. “How long is the Manta ride?” Just over two and a half minutes. “How fast does Manta go?” Up to 56 miles per hour. “How many loops, twists and spins does Manta have?” Manta speeds riders through four showcase inversions, including two in-line spins, one flat spin and one pretzel loop. But the specially crafted rails make Manta one of the world’s smoothest coasters. There are lots of other twists and turns as well. 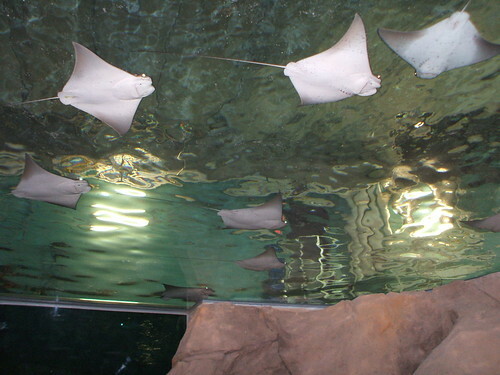 “How many aquariums are at the beginning of the ride queue?” 10, including some that have stingrays circling overhead and one that smaller guests can “pop up” into with fish swimming all around them. “Who manufactured the Manta coaster?” Bolliger & Mabillard (B&M) of Monthey, Switzerland. Please feel free to add your own review by leaving your comments about Manta! This entry was posted on June 22, 2009 at 8:38 pm and is filed under Busch/Sea World. You can follow any responses to this entry through the RSS 2.0 feed. You can leave a response, or trackback from your own site. 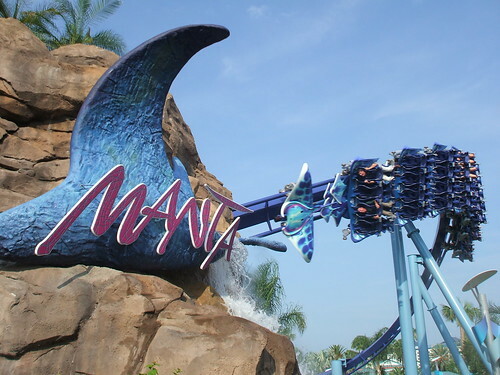 i tried to ride manta on my 18th birthday , and i couldn’t , i guess my thighs where a little too big , i mean the thing came down and everything ,but i guess it wouldn’t click into place or whatever , but it was really embarrassing everyone was staring . i think its really stupid how , that ride doesn’t fit everyone ,it really upset me. i was all excited thinking i could ride it,i mean i can ride SheiKra at bush gardens . how much should you weigh to ride the manta?